A Pineapple Mint Martini Recipe That Will Make You A Martini Drinker. 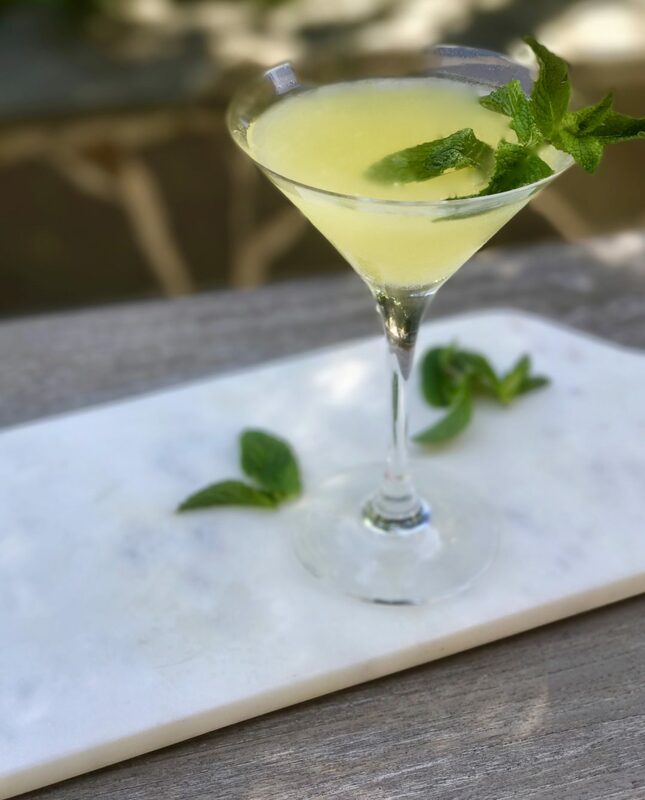 A pineapple mint martini is a twist on a classic and worth a try if you love gin and are looking for a light refreshing, slightly tropical cocktail. H.L. 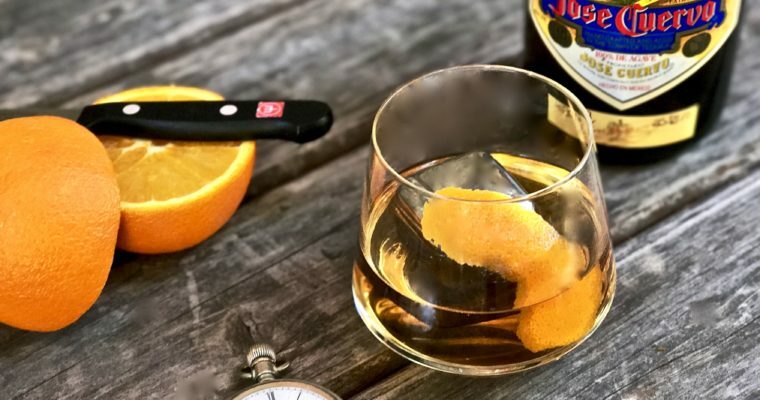 Mencken, an American journalist, satirist, and cultural critic once called a martini “the only American invention as perfect as a sonnet.” E.B. White, an American writer and contributor to The New Yorker magazine, called it “the elixir of quietude.” The martini is in a category of its own. Clearly, I don’t need to sell a martini to anyone. But let’s briefly discuss the health benefits of pineapple. High in Vitamin C and Thiamine, this tropical fruit is also a good source of manganese, which is considered important for bone health. All that said, the pineapple juice makes this martini fantastic. Personally, I have never been a fan of a martini in general. They are typically just too strong for me, reminiscent of rubbing alcohol. But this drink I love. My mother-in-law is a fan of flavor-infused martinis: a martini made with cucumber vodka has been a favorite. So I thought of her when I came up with this one. 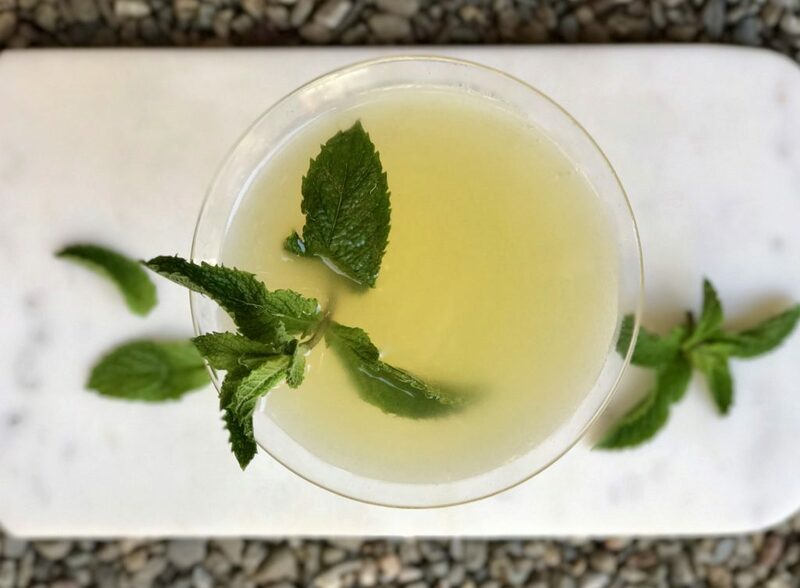 With a playful and tropical spin, this pineapple mint martini, served up, is a great one to add to your easy specialty drink arsenal, especially during the summer. Cheers. Step 1 Fill a shaker with a good amount of ice. Step 2 Add the 3 mint leaves, gin, pineapple juice, lime juice and agave. Shake vigorously for about 30 seconds. Step 3 Strain into a chilled martini glass. 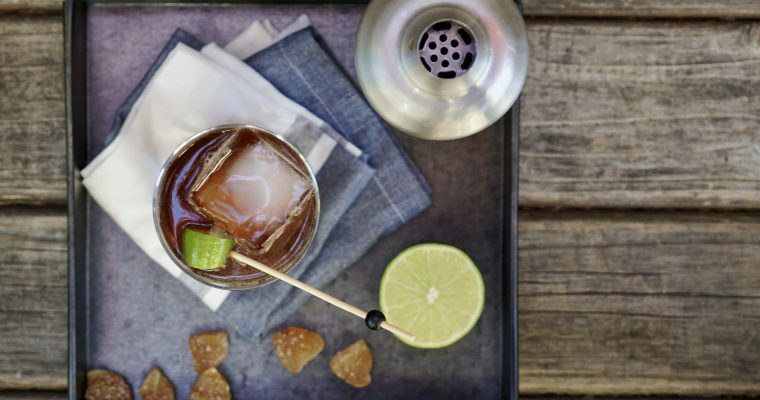 Garnish with a mint sprig.